CHESTER — Violet C. McGaughey, 91, passed away Saturday, April 13, 2019, at the Stone Pear Pavilion in Chester. Born, July 27, 1927, in Pittsburgh, PA., she was a daughter of the late Casper and Catherine Starsnic. She was also preceded in death by her son, Rick Neiman. 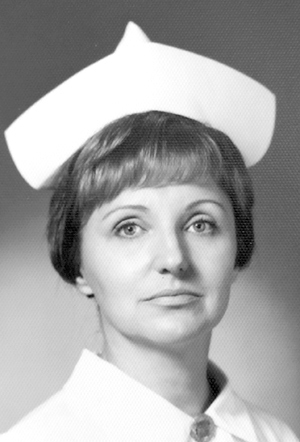 She retired as a Registered Nurse from the Allegheny Health Department. She is survived by her daughters, Beth Vaughan of New Cumberland, Maureen Caputo of Steubenville and Sharon Perkowski of Glen Carbon, Ill.. She is also survived by her three grandchildren and a great grandson. It was her wishes that no calling hours or services be held. The Arner Funeral Chapel was entrusted with handling her arrangements.